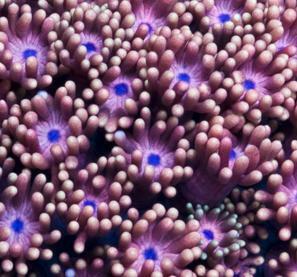 I stumbled across this wicked goni (Goniopora) on the Cherry Corals website. The goni has purples, blues, greens, and pinks throughout and really is a quad-color. It looks like there is only one silver-dollar sized goni in stock and its going for $100. I think its a steal at twice the price for such a sweet looking goni. Cherry Corals also have some of the sickest frag packs and offer Saturday shipping for $20 bucks. Check Cherry Corals out if you get a chance.